Why choose a P&O Cruises mini cruise break? Do you fancy testing out a cruise ship holiday but the thought of committing to a week or two at sea sends shivers down your spine? 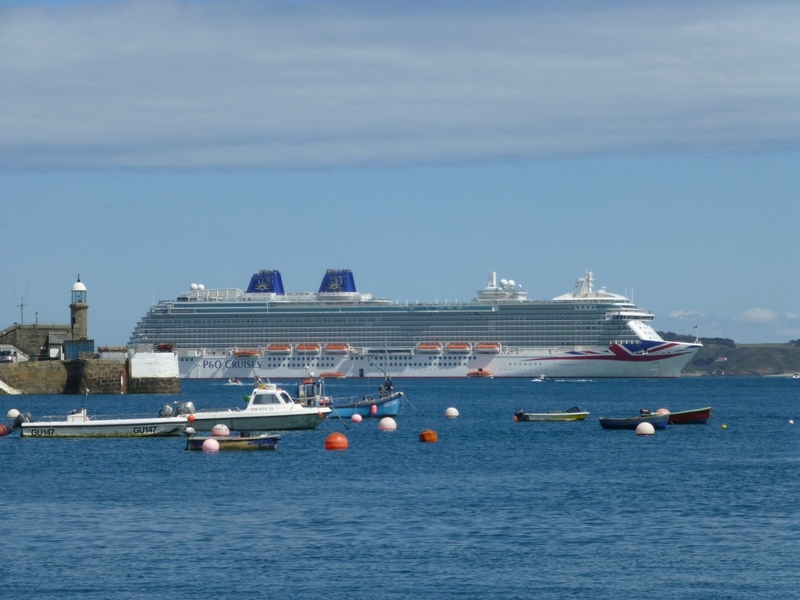 Thankfully trusted British cruise operator P&O Cruises has a range of short taster mini cruise breaks offering excellent value for money, conveniently sailing from the port of Southampton, Hampshire. Tip: Don't confuse P&O Cruises with P&O Ferries. They are completely separate with completely different fleets. P&O Cruises offers a range of exciting ocean cruises spanning the globe. P&O Ferries operates short North Sea and French Channel ferry crossings. P&O Cruises originated back in 1822 so what they don't know about cruise ships isn't worth knowing. 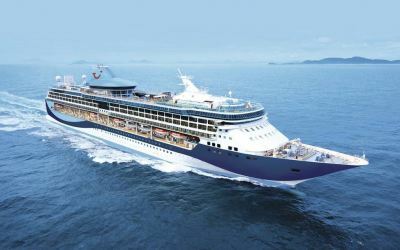 The cruise line is fiercely proud of being rooted in Britain and on-board you can expect a reassuringly comfortable home-away-from-home atmosphere. You'll feel you're on holiday as soon as you step aboard but you will still have all the creature comforts of home. Purchases are made in Great British Pounds, tea and coffee making facilities can be found inside each cabin and classic British dishes can be found on the restaurant menus. Entertainment is included and there's plenty to do on-board. Children can be enrolled into the Reef Kids Club offering them a safe space to have plenty of fun, while the grown-ups can relax by the pool or indulge in a luxurious spa treatment. A gym can help burn off those extra calories from the delicious food included in the price. A cruise ship holiday is a step up from a mini cruise aboard a ferry and the price reflects this. 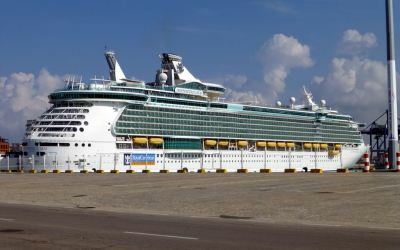 Even so, if you are considering booking a mini cruise but want all the facilities of a hotel resort then look no further than a P&O cruise ship. Note: P&O Cruises don't offer 2 for 1 mini cruise deals but they do offer great value cruise fares throughout the year instead. Remember to book early online to get the best price ° for your next cruise holiday. Great way to try a cruise ship holiday without committing to a week or more. Sail direct from Southampton port - no flights required and no bag limits. A wide choice of cabins are available: value Inside cabins, Outside cabins with a sea view, Balcony cabins with a private outdoor space, and Suites for extra luxury. Your sailing is full board meaning your main meals and snacks are included. There won't be enough time on a mini cruise to fully explore and experience the ship, leaving you wanting more. Drinks cost extra, as do premium dining choices and premium snacks. Complimentary drinking water and fruit juice (during breakfast hours) is available from the buffet restaurant and room service though. Drinks packages are available which may be better value depending on how much you intend to drink. P&O Cruises has a fleet of eight ships spanning a variety of sizes. Family friendly ships are: Britannia, Azura, Ventura, and Oceana. Britannia is the biggest and newest in the fleet. Azura and Ventura are popular ships although a bit smaller. Oceana is smaller again. Iona is a new family-friendly ship in the pipeline for 2020. Each ship has a range of facilities to accommodate solo travellers, couples, families and groups of friends. For a kid-free cruise experience look for sailings on Aurora, Oriana and Arcadia. Arcadia, Aurora, and Oriana are mid-sized ships. These ships are reserved for guests aged 18+ and are popular with those travellers looking for a more grown-up cruise experience. I've listed them below, split by ship. If you want to dip your toe into the world of cruise ship holidays then a two-night cruise is ideal. If you've been on a cruise ship holiday before, perhaps not with P&O Cruises, then a four-night sailing would give you more time to explore the ship.